I have several Daily Dilemmas available for sale but you could also create your own. 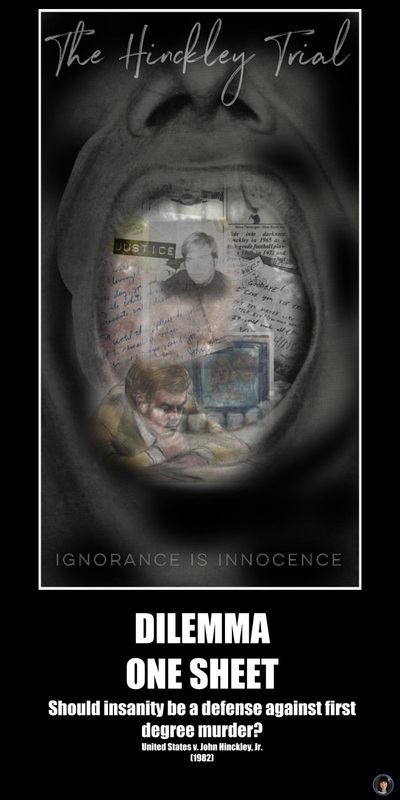 You take a famous trial and distill the information into an easily accessible form. I do this by creating a One Sheet. Traditionally one sheets are single page documents that summarize a person’s accomplishments, a product, or a film. They are sometimes used to introduce new artists and/or films. They usually contain an image or two, biographical information, and taglines. 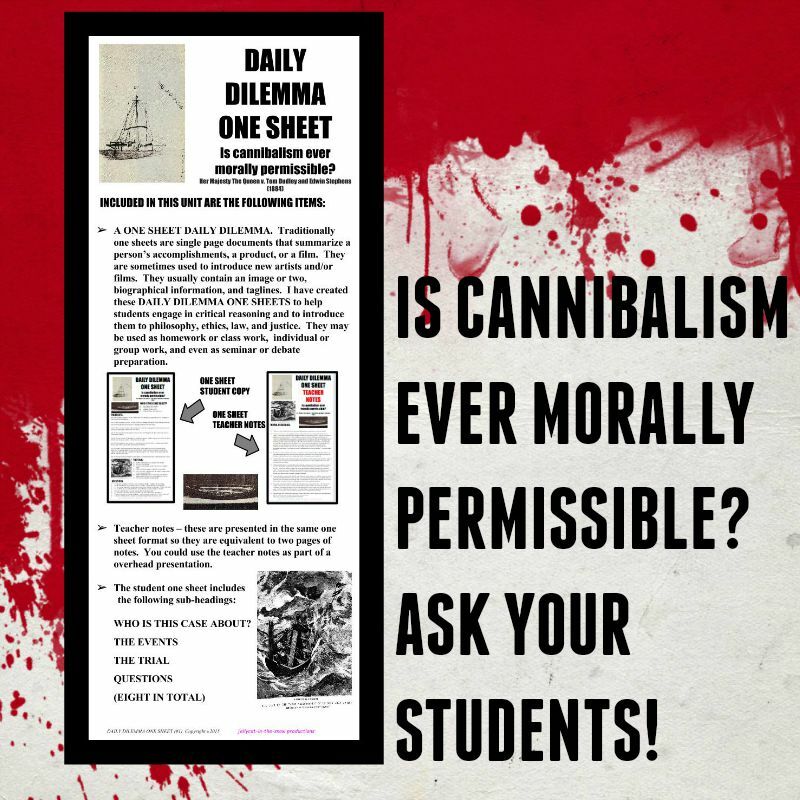 I have created these Daily Dilemma One Sheets to help students engage in critical reasoning and to introduce them to philosophy, ethics, law, and justice. They may be used as homework or class work, individual or group work, and even as seminar or debate preparation. I use these court cases in several ways. With the Daily Dilemmas that I have created the students work alone or in groups. They read the One Sheet and then answer eight questions on the court case. I choose cases that raise interesting moral and ethical dilemmas. I also have my students create their own Daily Dilemmas. I have found the marking of these to be less time consuming than grading an essay. You will immediately have a sense of the overall grade at first glance. I have them include an image of the case, summarize the key details of the events leading up to the case, use quotations and key phrases from the actual case, explain the outcome, ask eight questions regarding the case, and finally they answer four of the eight questions.